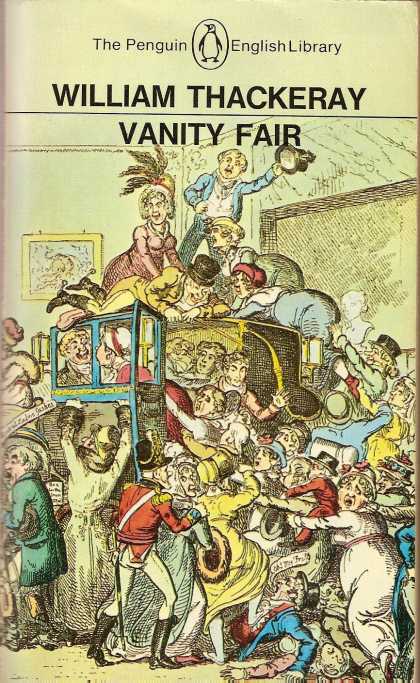 Solender’s sub-title of “An Entertainment” clearly states what this book is about – a fanciful confection of Jane Austen in love, where we are given a birds-eye view of episodes in her childhood, intimate moments with her sister, her family, and friends; an imaginary take on her feelings for Tom Lefroy; her 1-day engagement to Harris Bigg-Wither; and the fateful meeting with the rumored and wished-for ‘Gentleman suitor of the seaside’ – part real, part imaginary, and part straight from Austen’s own fiction, all beautifully woven together into this tribute to love in the life of Jane Austen. 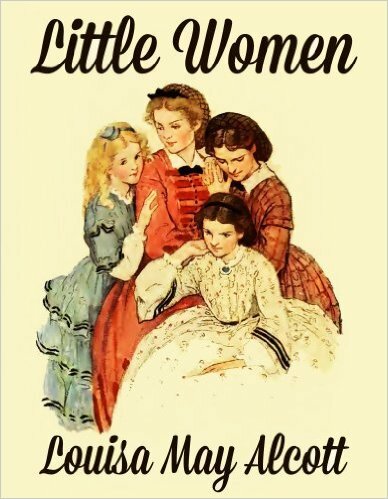 Read it, and then, as you would any Austen novel, read it again – there is much to discover and savor, and great fun to stumble upon the allusions to the letters, the known people in her life, and her very own fictional characters! JAIV: Welcome Elsa! I appreciate you visiting Jane Austen in Vermont today, as we talk about your new book Jane Austen in Love: An Entertainment. But first, tell us a little about your beginnings, your discovery of Jane Austen. ES: My mother gave me Pride and Prejudice when I was in seventh grade and just 12. I was too young and put it aside. The next year, I returned to it, read it, loved it, and spent the month of July that year speeding through the other five Austen novels non-stop every day as if I were running—or reading — in a marathon . I didn’t reread them again until freshman year at Barnard College. The papers I produced on Emma and for assignments were all close textual analyses (I recently re-read one or two of those papers – they’re not bad). My professors were New Critics focused almost exclusively on texts and critiques, with little historical or biographical background considered. To read too much into the author’s intentions or personal background was to commit one of the dreaded critical fallacies of New Criticism. 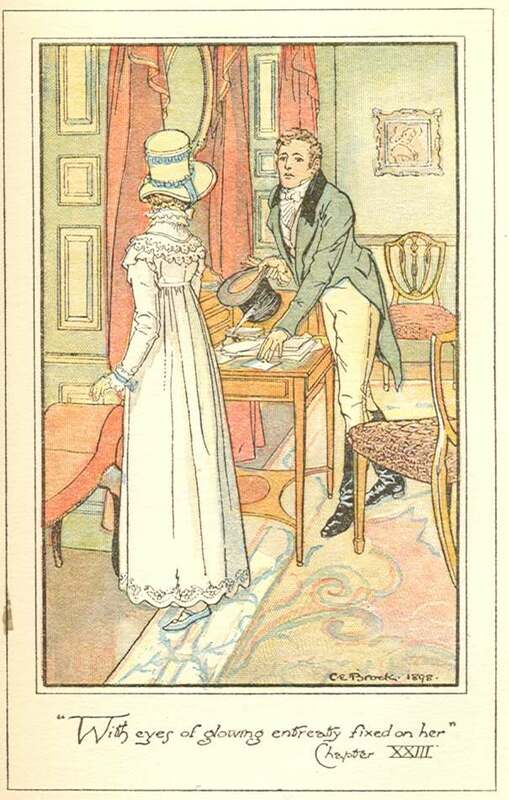 But Jane Austen’s texts stood up magnificently with minimal background material. I really didn’t learn much about her life until I joined JASNA at its inception in 1979. After all is said and done, though, it’s the novels that count – which is a rather strange thing for the author of a biographical novel to admit, I guess. JAIV: And because I have to always at least ask the impossible-to-answer question: which is your favorite Austen novel and why? ES: My favorite changes. I liked Emma best when I was younger – she’s an enfant terrible and a bit of a monster, with all the fascination of a monster, but Mr. Knightley loves her, and so must we. I was enamored of Mansfield Park for a while because of its problems and artistic challenges: Imagine choosing Fanny Price as your protagonist and Edmund as your “hero.” What a task Jane Austen set for herself there! I loved Northanger Abbey because I found it reassuringly imperfect in its structure, yet wonderfully entertaining, with so many amusing characters and clever lines. Then again, I think Captain Wentworth’s letter in Persuasion is one of the most passionate — but I am going on and on! Let me just say that I have always loved Pride & Prejudice – but add that when I’m not with the one I love, I love the one I’m with! JAIV: Why do you think that Jane Austen continues to be the “darling” of academia as well as popular culture? ES: Austen is endlessly fascinating – just as Shakespeare is. Her themes are universal, her language is rich, her psychological insights are penetrating, her social commentary is flawless, her moral compass unfailingly true. As times and trends change, new approaches to her work and life stimulate new thinking. For example, feminists in the 1970’s found her “conservative.” Then they read her again —with new eyes—and discovered her subversive qualities. Academics can still mine her work and her life – and all the spin-offs of those basic materials. 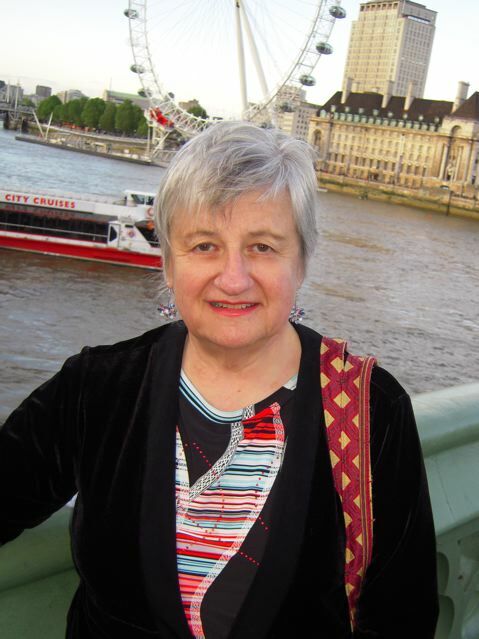 JASNA’s journal, Persuasions, provides a juried venue for publication, another factor encouraging the academicians. I suspect that every gifted and ambitious young actress of every age yearns to have a go at playing Elizabeth Bennet if she can, just as the best young (and not so young) actors want to give Hamlet a try. We’ll have another bunch of filmed versions soon again, I suspect. JAIV: You have written a novel around your short story “Second Thoughts” – the runner-up in the first Chawton House Library Short Story Contest and published in the anthology Dancing with Mr. Darcy – explain how you went from that story [did you write it first with no intention to write more? ], to the full novel, and why? ES: The idea for the story came to me in a flash when I read the contest topic (and learned that the judging would be done anonymously – my name would not be on the manuscript so no judge would know I had been president of JASNA). I wrote it very quickly and polished it for weeks afterward. I felt it was pretty risky to dare to try to enter Jane Austen’s consciousness, so I had better write it all out before I let myself get intimidated. Since I was entering her mind, not trying to imitate her prose, there could be some leeway for stylistic imperfections. While I was in residence at Chawton House Library —part of the prize for the three prizewinners of the contest— I began experimenting with the narrative point of view to see if I might extend the story into something broader than a single event in Jane Austen’s life. I was looking for a narrator who was not Jane Austen, but wrote like her – though not as well, of course. ES: I didn’t change much. As my narrator writes, she learns to write better, and to enter Jane Austen’s consciousness more confidently. The story is the culmination of that process, both artistically and in the merging of her own consciousness with Jane’s. JAIV: You use Cassandra Austen as your first-person narrator – how did you decide on her and not Jane Austen, or another person in Austen’s life? ES: I would never try to directly imitate Jane Austen’s style although I have imitated Defoe, Boswell and Johnson in the past. I needed someone who was privy to Jane Austen’s most intimate thoughts and feelings. Who but Cassandra? 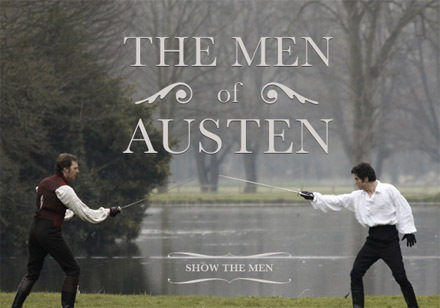 JAIV: You write in a 19th century style that does not actually imitate Austen [who can!] but sounds true to the times and Cassandra’s inner voice – how did you go about creating that voice in that time? ES: Since my college days, I have been told that I have a pretty good ear for imitation, especially of dialogue. When I was working at Barnard after graduation, I actually ghost wrote two pieces for a symposium in a national publication which were supposed to be by two different people. When I was a student, one could sometimes substitute an imitation for a term paper in the eighteenth century literature courses that we at Barnard could take in the Columbia Graduate Faculties. I chose that option because I was so busy: I was a married student with a part–time but demanding job as a stringer for The New York Times as well as a full program of courses. An imitation required little research, just familiarity with the mechanics of style (which I had) and a good ear and a taste for satire – so I wrote “Moll Flanders in New York” and “Samuel Johnson in New York”— with lots of dialogue—and I got A’s on both. What I did was start out reading something by the author I was imitating and just continued on in the same voice into my own plot. I familiarized myself with Cassandra’s letters and found I could pretty well pick up on her sentence structures and vocabulary– although one has to reach beyond imitation and empathize with the character one is creating for a novel. I hope I did that in my book. 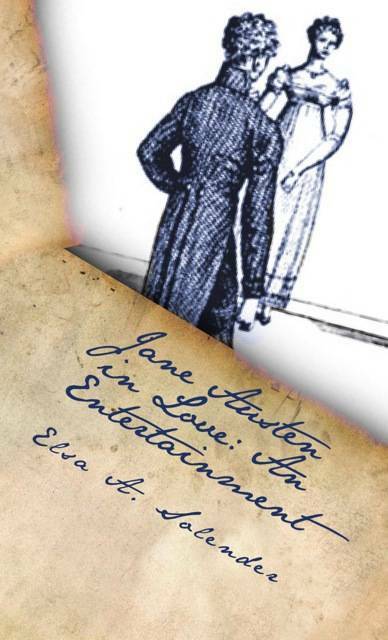 JAIV: Jane Austen in Love: An Entertainment tells the story of some of the most private and intimate episodes in Austen’s life. We know so little really – the “facts” are quite sparse and there has been much speculation through the years. It is so tempting for her “disciples” to fill in the blanks – from the letters, the works and anything else one can find! What inspired you to take this on? – to tell her story from the viewpoint of her closest confidant and fill in those many blanks with such realistic happenings? ES: Strangely enough, I find that the idea of borrowing Jane Austen’s characters is —for me at least — very uncomfortable. Her characters are her intellectual property. In my mind, they still belong to her. I tried once taking a very minor flat character and working out a fiction from the few hints we were given, but I really didn’t enjoy doing it. In reading biographies of Jane Austen, I always felt unsatisfied (In fact, that’s my problem with many biographies – and with autobiographies, too. Where there is speculation about a subject’s inner life in a biography, which purports to be factual, I tend to irrationally dislike and distrust it. I am also leery of the revelations of autobiographers about themselves.] Yet my interest was in the inner life of Jane Austen that was concealed from us, but might possibly be perceived intuitively from her writing. What facets of Jane Austen’s inner life, I asked myself, might have led her to write as she did? What events and people might she have examined and used as grist for her fictional mill? And what might have happened that influenced her to leave out some matters – like religion, for example, or war? Somehow, speculating in a clearly marked work of fiction seemed more seemly to me than speculating in a historical or biographical study. Others may well disagree – if so, they shouldn’t read my book. Also, there was a bit of wish fulfillment involved: I wanted to find my beloved author a partner, at least for a while, who was worthy of her genius. I meant my “gentleman at Sidmouth” to be a kind of gift or tribute in gratitude for the joy her work has given me. Does that sound corny? Well, perhaps it’s because I’ve been happily married for many years. JAIV: No, not corny at all! – I think many of us wish for her seaside suitor to have been real for her. How else we ask could she have written such passionate tales of love, and of love lost and found? ES: You are both a perceptive and astute reader! Thank you for “getting” so much of what I was after. I think all her loves contributed to Jane Austen’s concept of a meaningful romantic partnership and to her development as a novelist. I worked mostly from memory—I have been reading and rereading her novels for decades, as well as reams of secondary source material— but occasionally I sought out a suitable phrase and planted it for my reader to find and enjoy – a bit like a literary treasure hunt. At the same time, someone with only a little knowledge of the background and biography—like a latter day New Critic— ought to be able to enjoy the characters and the story without consulting any other work. As I wrote in my acknowledgements, Deirdre Le Faye’s books were invaluable resources when my memory didn’t serve or I needed verification. She deals in facts—brilliantly — and I deal—ultimately— in fancy, which is why I call the book an “entertainment.” I think all writers use real life and, if they are successful, transmute it into fiction which, in some ways, can become “truer” or “better” or “more real” than mere facts could ever be: Facts are both random and fixed, but a fiction writer has the freedom (and responsibility) to shape —and stack— and change— facts for his or her own artistic purposes. JAIV: An author can find themselves on dangerous ground combining known biographical facts and a fictional telling of what might have actually happened, dialogue and all – are you at all concerned about the reception of this novel? concerned that Austen “fans” might feel their own private Austen has been tampered with? ES: I think we who love Jane Austen’s novels yearn for a better image of her, whether it’s a visual image or a persuasive word picture that syncs with the novels. We want to know her intimately, although she (and Cassandra) did their best to keep what they deemed “private” away from us. I speculate in the novel whether the destruction Cassandra wrought was really such a good idea in the end: The varying images of Jane Austen that have come down to us over two centuries —Saint Jane, Jane the Hater, Dear Jane, Sour Jane — might not have pleased or satisfied either sister. Even so, through the novels, she seems to belong to each of us in a special way. I offer my speculations, with the blanks filled in as I would like them to be; but it’s clearly my own personal notion of her (as well as a bit of a dream for her). I am perhaps presumptuous in my presentation – but I did at least spare her from vampires, zombies and sea monsters. JAIV: Yes, it was quite delightful to spend my reading hours with a real Jane and her family and friends! 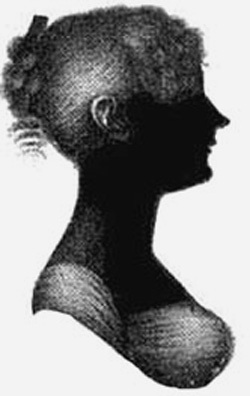 I love especially your description of Madame Lefroy – she jumps off the page as such a lively, lovely character – did you have a particular portrait in mind when you wrote this? ES: Not really – although she likes some of the same poems as one of my favorite high school teachers and looks rather like my freshman English professor. JAIV: Ah yes, the autobiographical comes out doesn’t it! Which leads me to the reader’s confusion of this real and fictional world … I found myself reminded of many Austen’s biographical tidbits that have retreated in my brain to a “save for later” file – and now pleasantly brought to the fore, such as her Abbey school experience, details about Eliza de Feuillide – and then there are the various characters and incidents that I know must be fictional – I feel as though I need to do a re-read of the letters and all biographies, and all the novels to cipher the facts from your tale! – what advice can you give the reader? ES: Read and re-read the novels, themselves, for pleasure and illumination. Look to Deirdre Le Faye for facts. JAIV: Indeed, where would we be in Austen scholarship without Deirdre Le Faye! In my mind the seaside suitor you imagine for Austen is very like one of her fictional heroes – I will not say which he most reminds me of! – everyone might find their own – but is this gentleman a composite of all her heroes or does he lean toward personifying one of them? And if so, is this your own favorite Austen hero? [i.e. who did you have on your nametag at the Richmond AGM “Jane Austen and Her Men” in 1996 – I realize you cannot really say… but skim around it if you can! ES: He’s entirely my creation – but of course, any ideal male character of mine would have to be strongly influenced by Jane Austen’s heroes – and by the virtues of my own particular husband, to whom the book is dedicated. JAIV: Just a question about the publishing process: though I am an avid book collector, I do have a kindle and use it mostly for those books I don’t really need on my already over-stuffed shelves [though alas! it is a rare book I read that I don’t want to own!] – I would have liked your book in a hardcopy to add to my Austen collection, but it is right now only available exclusively in the kindle format. Can you tell us how this came about and if this has worked for you? Incidentally, the free Kindle “app” can be downloaded easily from Amazon so that a Kindle e-book can be read on any computer or tablet. I learned that after my book was published. JAIV: Are you expecting that it will be available as a “real” book at some point? ES: My agent ardently hopes that one of the editors who held the book for months and months, and complimented it warmly, but then declined to purchase it, will ultimately publish it. That’s our objective. It needs to sell rather well to attract any attention, and I do have the right to take it back from Amazon after a year (and they can make a counter offer). Right now, I am receiving immense pleasure hearing from readers who enjoy the book – and tell me (and Amazon and the world) why they like it. JAIV: Do you enjoy any of the Austen-inspired fiction? – the sequels, continuations, the mash-ups? Can you share any of your favorites and why? ES: I am hyper-critical and impatient with slips in voice and style (including my own). 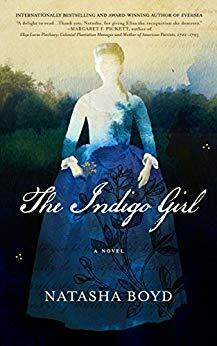 One sequel I read years ago about Jane Fairfax in the Burke Collection at Goucher College made me think about writing one of my own – but in the end I didn’t feel comfortable doing it. I thought Joan Austen-Leigh’s Return to Highbury, built around a very minor character in Emma, had its own merit. [this was the first title of her book, it was later changed to Mrs. Goddard, Mistress of a School.] And borrowing another writer’s very minor character is what Tom Stoppard does so wonderfully in Rosenkranz and Guildenstern are Dead and he borrows biographical characters for his Arcadia. JAIV: Your say your book is about love, but it is not a formula romance. Into what genre, if any, do you think it might fit? ES: It’s true that my plot doesn’t follow the traditional romantic course of Girl meets Boy, they fall in love, complications arise, they work them out, Girl and Boy get married and live happily after. It might have been more salable if it had fit into that genre. I was limited – and also challenged – by the known facts of Jane Austen’s life, sketchy as they are. Mine is a work of fiction based on those facts, but embroidered with my own— hopefully plausible— imaginings. 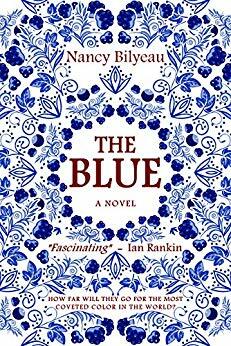 It is, in a sense, a feminist novel – not overtly so, but implicitly: I think I show how a young woman’s romantic “career” could be influenced, even destroyed by lack of fortune and the influence of people who had power over her, even those who loved her and acted in what they may have thought was her best interest. I wanted to show, however, that even in restricted circumstances, without marriage, women of spirit and ingenuity could build a meaningful and satisfying life if they were allowed space to develop their talents and build relationships with family and friends. In that sense, it may be as much a modern novel as a historical one. JAIV: If Jane Austen had married Mr. Bigg-Wither—or her mysterious suitor—do you think we would have had the six novels? Perhaps we would have nothing but the Juvenilia and random letters that no one would care about…. ES: I doubt very much that we would have had any novels if she had married, even if her husband meant to be supportive of her ambition to write. With either man as her husband, she would have had responsibilities as a wife and helpmate that would have left her very little time of her own, whether as the lady of the manor or a clergyman’s wife. Children would have demanded even more of her attention. I do believe that her sister Cassandra protected Jane’s writing time once they settled at Chawton with a generosity that a husband and children of her era would not likely have been able to equal. Very few women I know have been able to demand what psychologists call “self-time” until very recently when professional women have become equal contributors to their family’s finances and in a position to insist on certain prerogatives in return. Perhaps Jane Austen might have completed novels if she had managed to live to a ripe old age—like her mother, or her brother Francis, who became Admiral of the Fleet at 90 when he outlived his contemporaries —and that would only have happened with a husband willing to tolerate and nurture her rather unusual ambitions. In my short story, I wanted to suggest that she rejected conventional comfort and security that marriage to Bigg-Wither would have brought her for two reasons: One was her conviction that a marriage without affection and respect could not flourish, the second was her irresistible drive to write. JAIV: I know you have written about “Recreating Austen’s World on the Screen” in JASNA’s Persuasions – What are your quick thoughts on the movies – Your favorites? Those that got it wrong? ES: I liked the Colin Firth P&P best. I hated all the Mansfield Parks. JAIV: If you could tell us the best five works in your Austen collection [besides the Works themselves], what would you choose? Which books have been the most valuable to you in understanding Austen and her times? For instance, you write in Jane Austen in Love, a bit on “the secret language of the fan” [all quite fun where you have Eliza impart to her younger cousins all her thoughts about “love”!] – what books have you found most helpful in understanding these social customs? ES: All of Deirdre Le Faye‘s works are helpful. All Juliet McMaster’s critical studies are of comparable value in their own way. I often refer to The Jane Austen Companion (by J. David Grey, Brian Southam and Walt Litz). I also make great use of the Internet when I am looking for something I vaguely remember – or don’t recall, but need. JAIV: What else do you like to read? ES: I am a voracious reader. I usually keep about four books going at one time. On my bed table and on my Kindle, I have bookmarks right now in: Here, an anthology of wonderful poems by the late Wislawa Szymborska, whose outlook and tone resembled Jane Austen’s in many ways; The Life of Super-Earths by Dimitar Sasselov (I am almost as passionate about astrophysics as I am about Jane Austen); Boswell’s Presumptuous Task: The Making of the Life of Dr. Johnson by Adam Sisman, and Sugar Street, Book II of the Cairo Trilogy of Mahfouz. I am passionate about — and often reread— the novels in Patrick O’Brian’s Aubrey – Maturin series (he told me Jane Austen was his stylistic muse); the trilogies of the late great Canadian novelist, Robertson Davies, and the works of my favorite teacher in The Committee on Social Thought at University of Chicago, Saul Bellow. JAIV: And for the writers out there: what is your writing process? And your best advice to aspiring writers? ES: Every writer has his or her own peculiar process. If you need to write – just do it. Otherwise, find something easier to do. JAIV: Do you have any other fiction in the works? JAIV: Ok, I shall not ask more on that! Anything else you would like to share with my readers? ES: Just that I hope they will give my novel a try and let me know what they think of it. Thank you Elsa for your graciousness in answering all these questions! I wish you the very best with your new book – and we at JASNA-Vermont look forward to your visit to us next fall as part of the Burlington Book Festival! Please post your comments or questions ~ Elsa will happily respond to you! All commenters will be entered into the random Book Giveaway drawing for a copy of Jane Austen in Love: An Entertainment, which is only available as an Amazon kindle ebook. If the winner has a kindle, I will reimburse the $8.99 it costs to download. If you are alas! 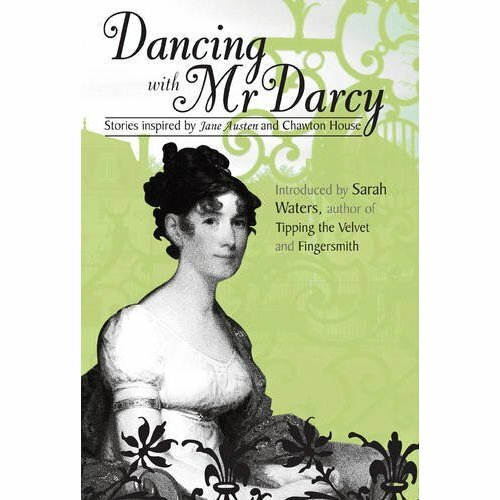 kindle-less, the winner will be sent a copy of the Chawton House Library’s Dancing With Mr. Darcy, which includes Ms. Solender’s story “Second Thoughts” – an imaginary tale of Jane Austen’s sleepless night after accepting the proposal of Harris Bigg-Wither, which is part of this new work. The deadline to comment is 11:59 pm Sunday March 4, 2012 – Winner will be announced on Monday March 5, 2012. Worldwide eligibility. This entry was posted in Author Interviews, Book reviews, Books, Jane Austen, Jane Austen Popular Culture, Your Austen Library and tagged Chawton House library, Elsa Solender, Jane Austen, Jane Austen in Love: An Entertainment, jasna. Bookmark the permalink. I was reading about the kindle book in this post—I wanted to read the one by Stuart Bennett and emailed with him, but it only comes in Kindle not Nook. I am a Nookie. Do you know how to make it so you can read a kindle ebook on a Nook? My I phone, alas, is too small for me to read on! I loved your post on Vermont’s Matthew Crawley, by the way! I am a Vermonter at heart, my family still has a farm there. Thanks very much! If anyone reading this can give Kim any advice, please let me know. I agree that had Miss Austen been married writing would have been difficult. I too wish that she had found true love later in life rather then dieing so young. Then maybe she have blessed us with another novel or two! Anything “Jane” works wonders, doesn’t it? Wonderful interview. Well done Deb and Elsa! Thanks Liz! – nice to have you stop by! I’d love to read this novel. Great interview. A Jane Austen’s pace would be quite lovely to read. Thanks for commenting Nina – I agree about Jane Austen’s pace… we could all take a lesson from her! I like the way Elsa has placed each of Janes novels as of equal importance in her life but at different times. She just loves them all doesn’t she? No favourite whatsoever Ha! Ha!. The picture of Elsa in London shows her with the backdrop of a very important building. It’s County Hall, which was closed down by the Thatcher Government. County Hall was the seat of government for London. Ken Livingstone was the socialist mayor of london at the time of the Thatcher government and was the only real opposition to the Conservatives at the time. The front of County Hall rather conveniently faces the Houses of Parliament. Ken had the unemployment figures blazened across the front of that building so everyday the government could see them. Thatcher was closing the mines and smashing the unions at the time, She was the devil incarnate, to put it bluntly.Our Ken stood up to her.He was the only one who did. County Hall was closed down. London is governed from a Norman Foster creation opposite the Tower of London these days. It’s that space age thing that looks like a glass head with a ripple of other glass constructions beside it.Very furturistic!!!!!! Hi Tony – love how you turn this mere photograph of Elsa into a political commentary! I chose this one that Elsa sent me because doesn’t everyone who has been to London have such a picture with the London eye in the background?! Thanks for the history lesson Tony, and for visiting, as always! I’ve had my interest piqued. I will probably download this to my Kindle tonight. I like the idea of using Cassandra’s voice. This a very detailed interview that I took a few hours (to be honest, I was doing something else in between) to digest the information and learn whatever I can. I am curious how you both conduct this interview. Sorry, I don’t own a Kindle and it is not shipped to my country, so I’ll have to go for Dancing with Mr Darcy which I read it before but didn’t buy a copy. wauw! I’d love to read this (and I will too ;p). 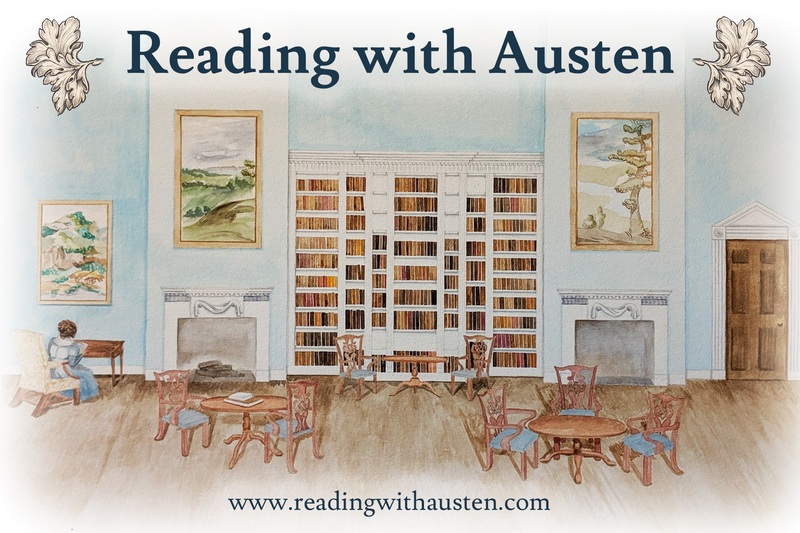 I’m a biiiiiiig fan of Jane Austen and want to visit the festival in semptember in Bath… Too bad I don’t own a kindle, but there can be things done to help this problem out of the world ;). Thank you for the great interview! Loved to read it! Thanks for the interesting interview! Great give-away. Love having all my books on my Kindle so I can read whatever I want wherever I am. I really enjoyed Elsa’s short story “Second Thoughts.” I hope that her novel becomes available in print and Nook format soon. Thanks for the giveaway chance Deb. Wonderful expensive interview of a fascinating lady. s/b extensive not expensive! Ack! I have read Dancing with Mr. Darcy, and look forward to reading this. Thank you for the lovely interview. Such an interesting interview! Thanks a lot, ladies! I’d love to read Jane Austen in Love, of course. Thanks to all who commented on the interview, and to Deb whose excellent questions stimulated a lot of thinking from me. I truly hope my “entertainment” entertains my kind readers and that they will let me know what they think of it. Thank you Elsa for doing this! – you were very gracious to answer all my questions with such thoughtfulness – I hope that your lovely book does very well and you will be blessed with a hardcopy contract! I want to add it to my non-virtual bookshelves!